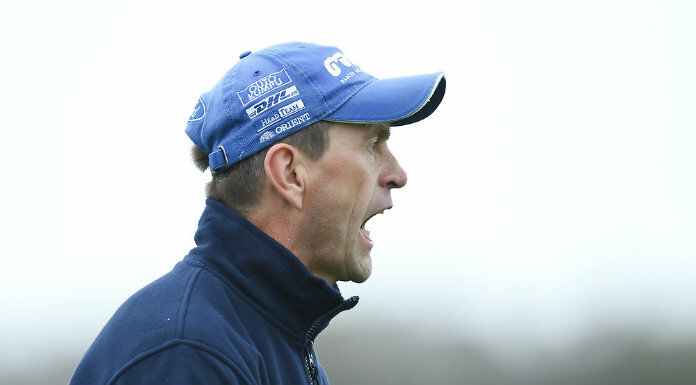 John Conlon scored four points but it wasn't enough to deny Tipperary victory. Photograph by John Kelly. An injury time goal from Cian Moriarty saw Clonlara win the Clare Champion cup (senior hurling league) at the expense of Crusheen in a well contested final at a well appointed Glenomra Park in Broadford this afternoon. Points were exchanged twice in the opening ten minutes before Crusheen opened a two point lead by the end of the first quarter and they went on to lead by three at half time when the score was 0-8 to 0-5. Both sides were guilty of mistakes and missed changes and, in the case of the latter, Crusheen will be the more disappointed as they had six wides in the first half which was double the tally of their opponents. Clonlara stepped up a gear on the resmption and they quickly had the margin down to the minimum. However, they had to wait until eleven minutes from time before the levelled when Micheál O’Loughlin converted a 60m free. A minute later he landed one from play to give them the lead for the first time but back came Crusheen and Pat Vaughan levelled before Jamie Fitzgibbon put them back in front with two minutes to go. 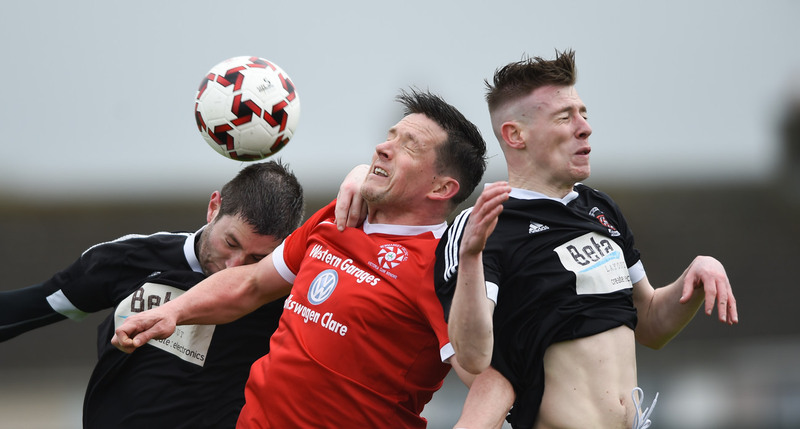 Three minutes of ‘injury’ time were signalled and, in the second of these, the South Clare side struck the vital blow. A magnificent catch by Colm Galvin in his own half back line sparked off the move which ended with Cian Moriarty finding the net after he was put through by team captain John Conlon. Straight from the puckout Cian Dillon pointed to leave the minimum between the sides. 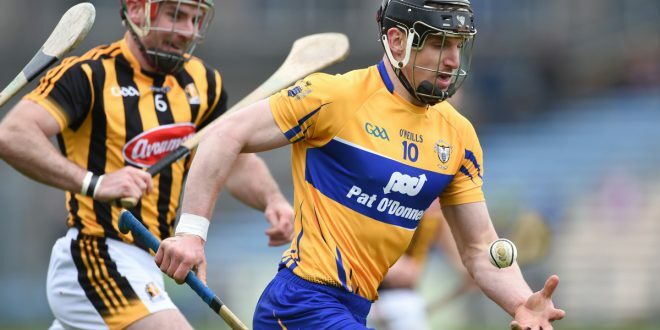 When play resumed they attacked again and inter county joint captain Dillon burst through the middle but, under pressure from Domhnaill O’Donovan, his effort bounced in front of Ger O’Connell who saved as the final whistle sounded. Seamus Downey, Cillian Fennessy, Domhnaill and Cormac O’Donovan, Colm Galvin and Micheál O’Loughlin were prominent for the winners who lined out without Nicky and Cathal O’Connell and Neil Ryan who were amongst a group of panel members who are in the U.S for a short break. **After the game Clare GAA chairman Joe Cooney presented the Clare Champion cup to the winning captain John Conlon while Clare Champion sports editor Seamus Hayes presented cheques to Clonlara chairman Colm Honan (euros 3,500) and Crusheen treasurer Orla O’Donnell ( euros 1,500). Subs; Cian Moriarty (1-1) for Haskett; Oisin O’Brien for O’Hare, Fionán O’Brien for P. O’Loughlin. Crusheen; Donal Tuohy; Jason Greene, Gerry O’Grady, John Brigdale; Ciaran O’Doherty (0-2), Cian Dillon (0-1), Cathal Dillon; Alan Brigdale (0-1), Shaun Dillon; Gearoid O’Donnell (0-1), Jamie Fitzgibbon (0-1), Alan Tuohy; Colin Vaughan (0-3, frees), Fergus Kennedy (0-1), Pat Vaughan (0-1, frees). Subs; Conor O’Donnell for G. O’Donnell; Cillian Mullins for A. Tuohy; Joe \meaney for C. Vaughan.